The engagement programme Eh!woza (Hey! Come [with us]) seeks to engage with communities in South Africa that are significantly affected by tuberculosis (TB). 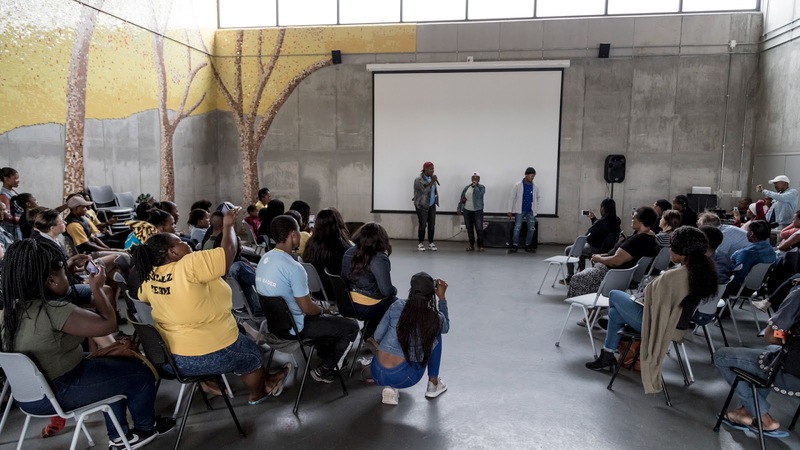 Eh!woza engages young people in Khayelitsha, Cape Town’s largest township, with biomedical TB research and provides participants with the resources and training to produce short films about experiences of TB within their communities. Image: Eh!woza, Then and Now. 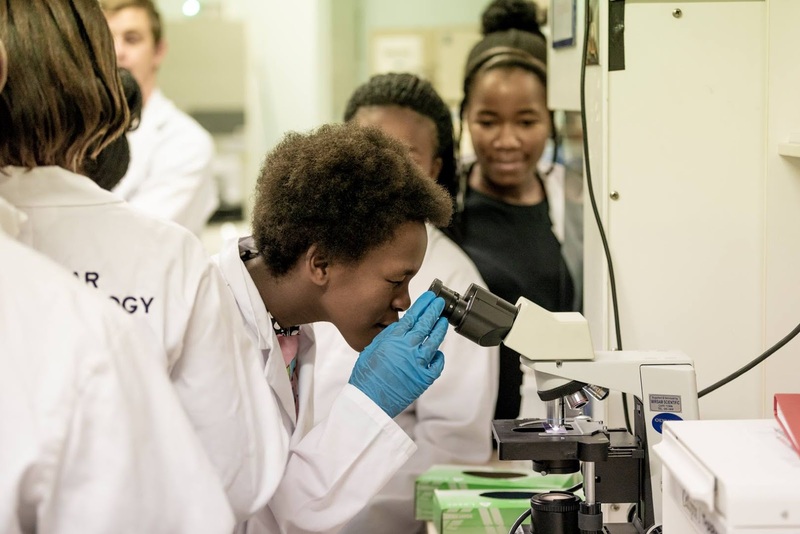 Eh!woza is jointly led by a team of biomedical scientists and PhD students at The Institute of Disease and Molecular Medicine (IDM) at the University of Cape Town (UCT), a contemporary conceptual artist (Ed Young), and IkamvaYouth, a Khayelitsha-based NGO. TB remains a health emergency disproportionately impacting the poorest and most vulnerable in southern Africa and other endemic regions (Young et al. 2018). Approximately 24% of the 10.4 million new cases of TB in 2016 occurred in Africa, with 50% of HIV-associated TB cases occurring in southern Africa (WHO 2017). Khayelitsha has among the highest TB rates in the world, with a notification rate (i.e. the number of new and relapse TB cases notified in a given year, per 100 000 population) of 1,000 (Cox et al. 2010). Geopolitically, Khayelitsha exemplifies apartheid’s segregational design and associated structural violence, which is intricately linked with TB and related social factors (Young et al. 2018). An urgent need exists for a project that engages community members as active partners in reducing the impact of TB (ibid). 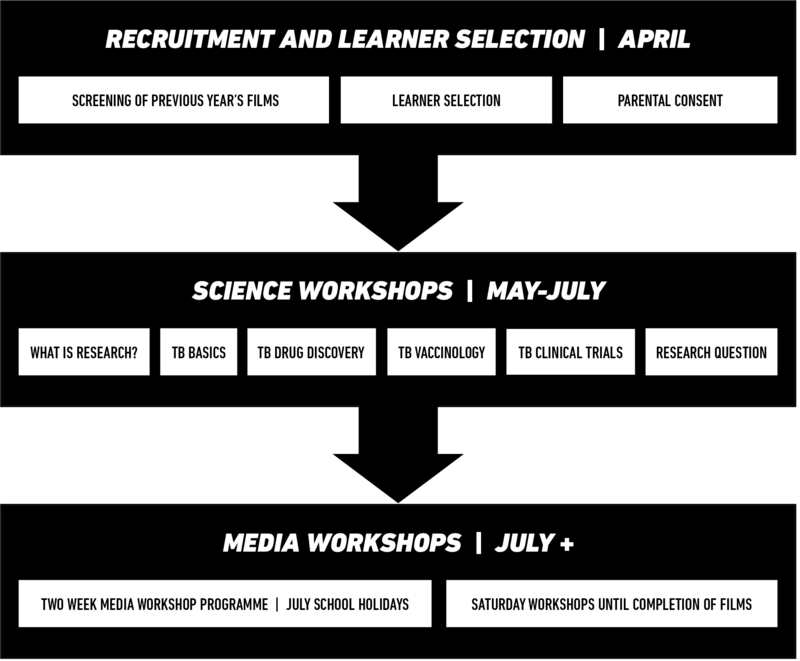 Eh!woza’s vision has been to address this need by developing collaborations between scientists, artists, and young people in Khayelitsha. The promotion of agency lies at the heart of Eh!woza’s approach. It aims to engage participants as ‘active partners in generating knowledge and in reducing the social and public health burden of TB’ (Young et al. 2018). Eh!woza operates at the intersection of public engagement, ‘engaged scholarship’ (the production of academic knowledge through engagement practices), education, and advocacy. Eh!woza began as a one-off public engagement project (in 2014), but has since developed into an ongoing, annual programme. The initial project served as a pilot. 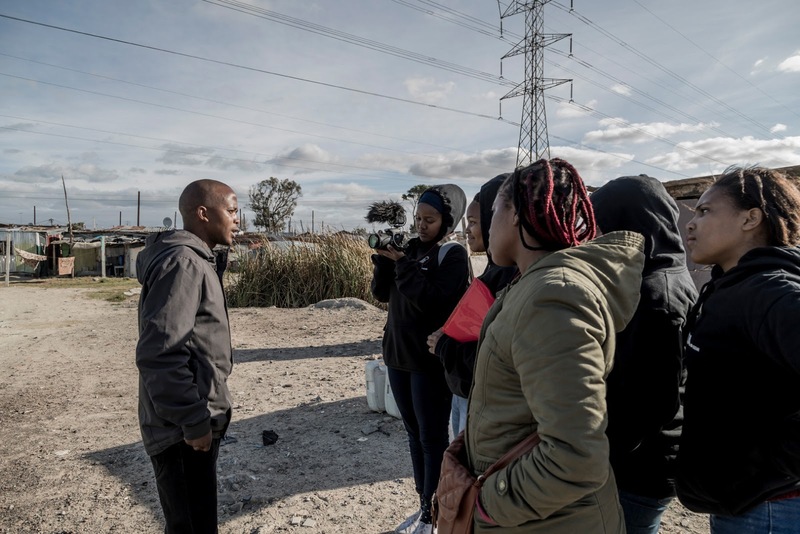 Its workshop informed the production of a professionally edited 20-minute documentary, capturing how TB was understood and experienced by the learners (aged 14 - 18). Five years of developing these workshops has allowed Eh!woza to build a replicable model (see below). The approach has become increasingly participatory, with learners now producing and editing the documentaries themselves. Following the scientific workshops, learners participate in an intensive two-week film production programme. The hands-on programme gives learners the opportunity to experiment with cameras and software equipment, and develop the skills and resources needed to produce their own films. Over the past 5 years, Eh!woza has witnessed learners sharing more and more personal stories about experiences of TB within their communities, and highlighting interactions between social factors and TB in South Africa. 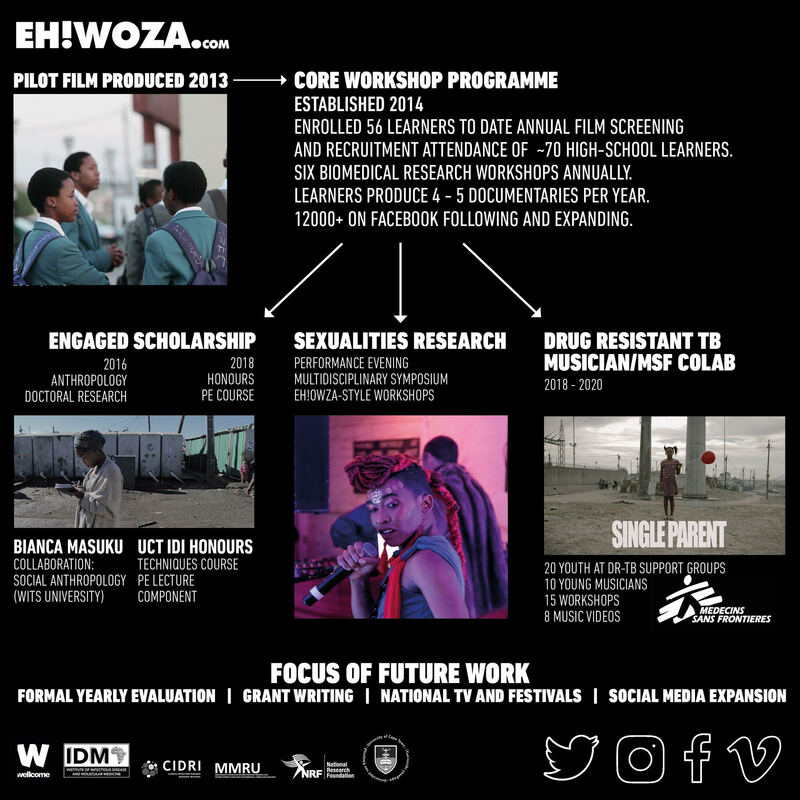 Learners’ documentaries have been disseminated through yearly film screenings, presentations at conferences and symposia and, more recently, plans to screen a selection of films on national TV as well as at national and international film festivals.In 2018, Eh!woza participated in a World TB event, which provided a unique platform for debate and dialogue. Eh!woza also has a wide-reaching online presence, it’s social media platforms (e.g. Facebook) communicating with young people not only in Cape Town, but also in Johannesburg and Pretoria. In 2015, Eh!woza recruited an anthropological PhD student to conduct an in-depth qualitative and evaluative study into its engagement. One of the core questions of this study was whether the programme provides a meaningful way for people to reflect their experiences of TB. The study has generated valuable insights into the programme’s impacts and has found that young people are finding new ways to represent themselves as active agents within their communities, interrogating and shaping local understandings of infectious disease. Learners feel a sense of responsibility towards to the societies in which they live and believe in their own ability to promote change. One learner said they felt they had been given an opportunity to talk about issues considered taboo and change people’s mindsets. Further feedback came from another learner who, after engaging with Eh!woza, felt not only more comfortable having conversations with their mother about TB, but also able to share information about TB with their friends and acquaintances. Although the study identifies that conversations about TB are taking place amongst learners and their communities, it also suggests that Eh!woza should now focus on evaluating whether these conversations are in turn affecting change in perceptions of TB. For example, although Eh!woza has a significant social media following, further M&E is necessary to ascertain the impact, and not only reach, of these online interactions. Eh!woza has developed a model that has since been expanded into new areas not only by the Eh!woza team, but also by learners themselves. In 2016, an alumni group began producing an independent film exploring the lives of, and violence towards, LGBTQI+ high-school learners in Khayelitsha. This demonstrates the project’s potential to generate a cohort of learners engaged with various forms of activism, utilising film and media as tools for advocacy. Next steps for the Eh!woza team involve expanding their successful model, partnering with new organisations, and engaging new communities. Eh!woza has recently commenced a collaborative project with Médecins Sans Frontières (MSF) that will bring together teenagers living with multidrug-resistant TB (MDRTB), young musicians, and scientists. The young people will learn about the biomedicine of the disease, and share their personal narratives with the musicians to inspire new music and videos that move away from stereotyped representations of disenfranchised South African townships. The project will culminate in an outdoor concert on World TB day, showcasing the films and music videos produced. Click here to find out more about Eh!woza, and visit their website. Click here to visit the Eh!woza facebook page. Download the full Eh!woza article by Young et al. (2018) here. Click here to read more about how this project made inclusivity central to its approach.